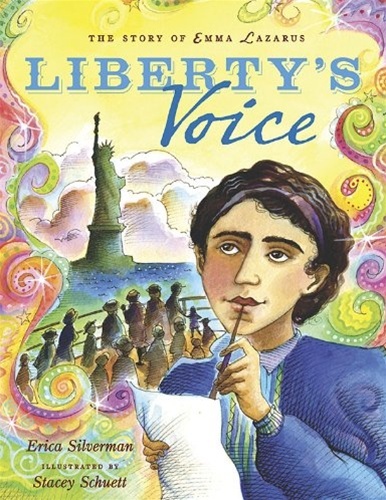 Emma Lazarus overcame the barriers of her day to become one of the leading poets of the nineteenth century. She used her celebrity to help the poor and impoverished immigrants of Eastern Europe. When the statue Liberty Enlightening the World came to the United States as a gift from France, it was Emma's poem "The New Colossus" that became forever connected with this American icon. Emma's words have served as a rallying call to generations of immigrants. In breathtaking color, veteran artist Stacey Schuett brings life to Erica Silverman's story of one of the great women of America.